A 1920s gatsby themed prom gown. Suitable for both petite and plus sizes ladies. 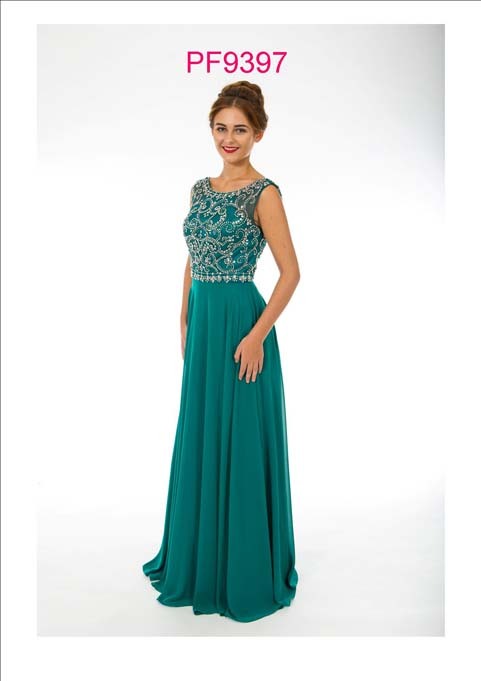 This chiffon long flowing skirt has a bodice that intricate beading detail that is fastened with a zip.